Precision grind your cam to factory specifications. Price Per Set (2). Group B Turbo Price Per Set (2). 934 Turbo (CIS) Price Per Set (2). 911e Price Per Set (2). 911s (74-77) CIS Injection Price Per Set (2). 935 Turbo Price Per Set (2). Good overall performance for carbureted engines. Very broad power range in off-road racing engines. Price Per Set (2). 911SC / Carrera Price Per Set (2). 911s (67-73) Mechanical Injection Price Per Set (2). 1966 Solex Carburetors. Price Per Set (2). Strong mid and upper end performance for large displacement turbo engines. Some loss of idle and low end performance. Price Per Set (2). Carrera 2 / 4, 964 (3.6L), and 1994 Turbo S Price Per Set (2). 906 Carrera Price Per Set (2). RSR Sprint. Price Per Set (2). Excellent profile for the 2.7 liter engines. Good torque and better acceleration. Designed for hot street and club racing. Carburetors or mechanical injection. Price Per Set (2). Strong mid and upper end performance for hot street and club racing. Carburetors or mechanical injection. Price Per Set (2). GT2 Twin Turbo "EVO" (Mechanical Rocker). Price Per Set (2). Performance profile for the C2 / C4 engines. Fair idle. Broad power band for a built off road racing engine. Requires Programmable Injection. Price Per Set (2). Special performance profile for 911SC / Carrera / 964 engines. Works with stock injection. Price Per Set (2). 3.8 RSR Price Per Set (2). 993 Super Sport (Mechanical Rocker). Price Per Set (2). 993 RS Euro (Hydraulic Rocker). Price Per Set (2). Special racing profile for large displacement, racing engines. Price Per Set (2). Race profile for large displacement racing engines. Price Per Set (2). Schrick Race Profile Price Per Set (2). 4 bearing cores. Please specify year and model when ordering. New cams are sold outright. No core required. Price Per Set (2). 3 bearing cores. Please specify year and model when ordering. New cams are sold outright. No core required. Price Per Set (2). We will install a pump drive onto your left cam to use with mechanical injection or Turbo application. New drive and bolts included. We will hardweld and precision grind your worn out / new rockers for a longer wearing surface. Recommended with ALL profiles. No exchanges available, must use the originals. Also rebushing is necessary. Price (Each). 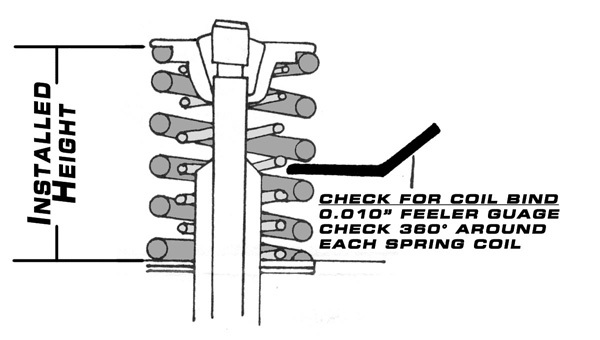 We will install new bushings into your rocker arms. 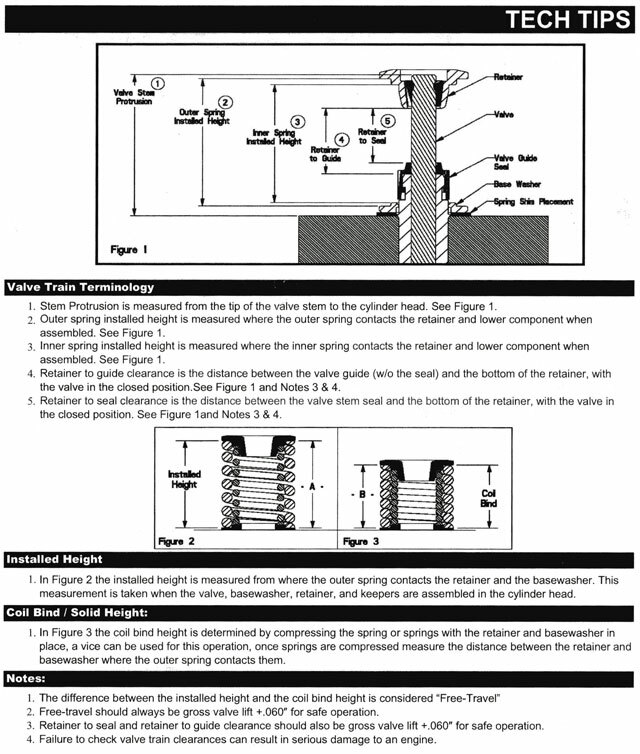 New bushings are required when hardwelding. Price Per Set (12). New steel billet rockers with extended pads for extreme racing conditions. No cores needed. New bushings included. Price (Each). Kit includes performance dual springs, Titanium retainers, and bottoms. OK up to .540" valve lift. Price Per Set (12). Kit includes performance dual springs, Titanium retainers, bottoms, and shims. For use in a Turbo racing application. OK up to .540" valve lift. Price Per Set (12). Replacement OEM Bolt / Washer. Price (Each). Porsche 911 SOHC 12v Parts List. NOTE: Severe lobe damage can be repaired by welding. Contact us for details. 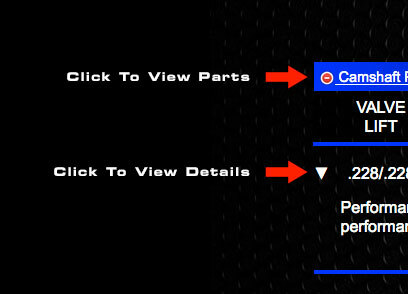 The part numbers listed above are factory profiles that we hardweld and grind on your stock cams. Any 911 / 930 / 964 / 993 up to 1995 camshaft can be used. New camshafts only available with 4 bearings, bolt style. Please specify if you need a power steering drive (right cam), and / or scavenge drive (left cam), as well as 911, 930, 964, or 993. An additional charge will apply for a 993 new cam purchase. Early 3 bearing cams can only be purchased as a hardweld on your cores, or you can order them with an additional core charge. See part CC-403. Core charges are refundable up to 6 months from date of purchase. No core refund for new cam purchases. New factory (OEM) or hardwelded rockers (See part HR-P01) are highly recommended when installing Web Cam Racing Cams. Custom mechanical race profiles are available upon request.